Locational Advantage : Hotel Kanchan Deep is close to the main shopping area of Jaipur. At Hotel Kanchandeep professionalism and personal touch combine with ease to meet the expectations of the ever demanding clientele. Established in 1990, this Three star property has managed to innovate itself with time to look like a new bride even today. Shown here are the three types of rooms which vary in size and a little bit in facilities. They tend to cater to the varying needs of our client base. Deluxe are ideal for the corporate traveller, Super Deluxe for the tourist and the Royal Super Deluxe is for the luxury seeking client. 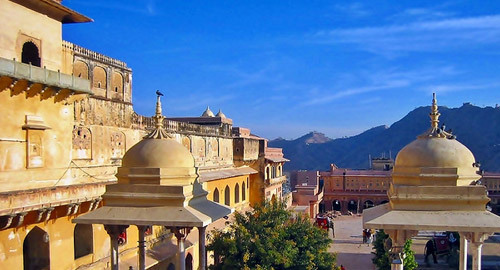 The MICE concept has been acknowledged as a major thrust area for the promotion of tourism in Jaipur. We thus have three options as venues where you can organize your Day or Residential conferences.